The Hispanic Organization of Toxicologists was founded in 2004 and became a Special Interest Group within the Society of Toxicology in 2006. It is an organization initiated by professionals of Hispanic origin with expertise in scientific areas associated with Toxicology. 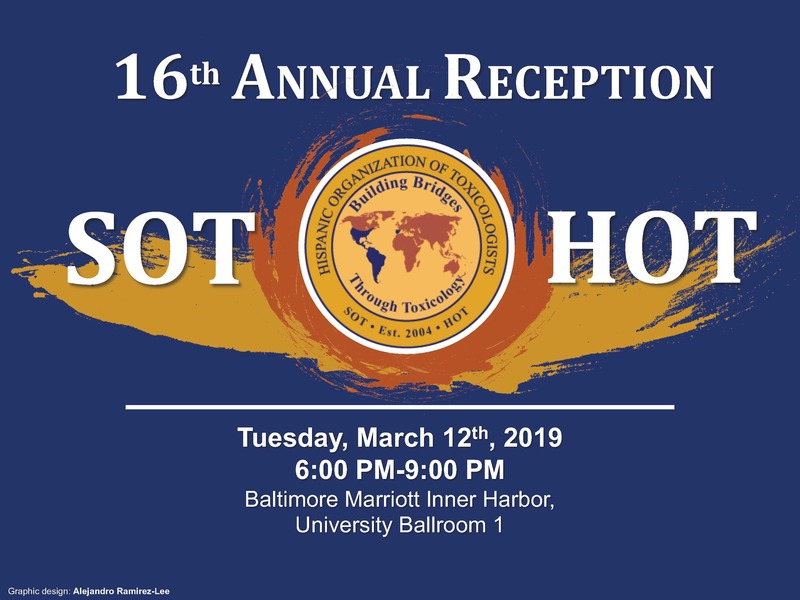 It serves as a focal point for interaction among Hispanic Toxicologists in the United States and the international Spanish and Portuguese-speaking scientific communities with emphasis in outreach to the Hispanic population. Its main goal is to provide a forum, for the awareness and dissemination of toxicological information and issues as they relate to the Hispanic community. It also provides specific and special support to the SOT on its outreach in global toxicology. HOT is governed by a set of member and SOT-approved bylaws. Want to Learn More About HOT? You can learn more about our organization and how to join us in our About and Join Us pages or our Facebook page. View a listing of the HOT Sponsors. The SOT Education Committee solicits proposals for ToxScholar Outreach Grants. Please visit the Awards Page for more information. Please take a look of this invitation. Dr. Gladys Erives is inviting anyone who might be interested in applying for a position as a fellow at the FDA.